Bedstead Retreat offers 1,120 square feet of simple country charm. It has an open floor plan and includes two queen-sized beds, one sleeper sofa and one bath. 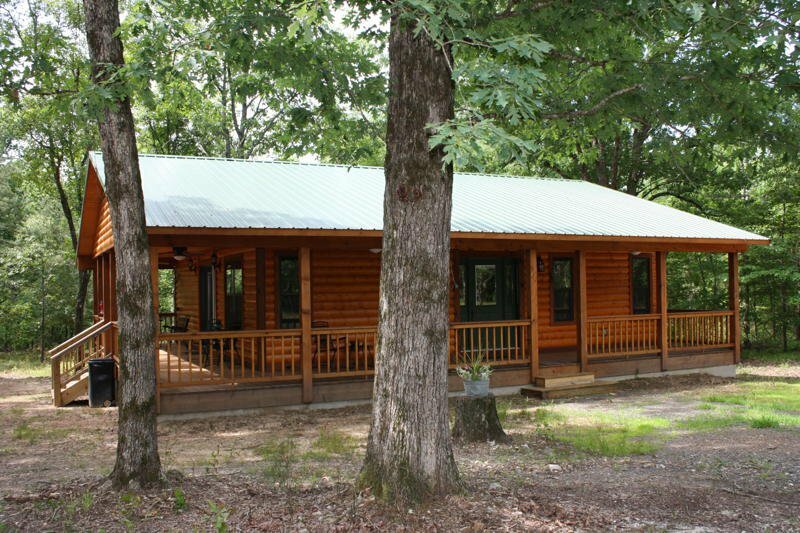 The cabin is situated on 40 acres of hardwood trees in north McCurtain County. It has everything you need for a weekend or week away from home. The cabin can sleep up to six people. No smoking or pets please. $180 per night plus tax. Two night minimum weekend, three night minimum holidays. While every effort has been made to ensure the accuracy of the pricing listed above, prices are subject to change without notice. From Broken Bow, go 22.8 miles from the main intersection of town on Hwy 259 North. Turn right onto the Wilderness Area Road. Drive 2.1 miles to a 4-way intersection and turn left. Go .9 mi and take a right.